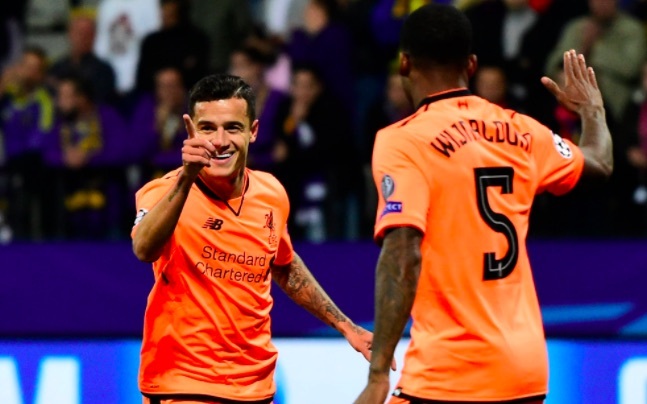 Philippe Coutinho has warned the rest of football that there is plenty more to come from him yet. The Brazilian arrived at Liverpool as a relatively unheard-of prospect in 2013, but has since emerged as, arguably, the club’s talisman. His constant progression has seen him evolve as one of Europe’s leading playmakers as well as famously attracting the interest of Barcelona. Despite being delighted by his development, the No.10 is in no mood to stop in his tracks. “Every year, I’ve felt like I’ve taken more on and become better, more complete and mentally prepared – not only with football but life in general,” Coutinho told Goal.com. Coutinho’s firm statement will not only please Liverpool fans, but also come as a concern given ongoing speculation linking him to Barcelona. After seeing three bids rejected by the Reds in the summer, the Catalan giants look set reignite an official approach for the 25-year-old in January. His upward trajectory over the past four years has served as a pathway to new positions and new responsibilities. The vision and execution he has persisted to have an impact with have gradually introduced him to a deeper role and one in which he can pose as a foundation to his side’s attacking setup. His sheer talent has seen him become a leader in his own right.